Whether you're trying to get in-or stay out-of the news, these custom training programs provide the key skills and tips for both: what you need to know, and the tone you need to set to get your story covered or played down. Audience Level Attendees at custom versions of Media Training have included various staff who may at some point come into contact with the media, especially during crises. 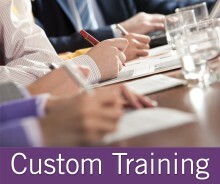 Staff we have trained include agency scientists, SES, managers, and attorneys. Previous Clients Variations of this program have been presented for many federal agencies. Course Materials Materials are tailored to each audience. 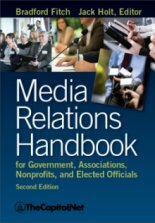 Course materials can include the Training Edition of Media Relations Handbook for Agencies, Associations, Nonprofits and Congress by Bradford Fitch. Usually requires 1 or 2 days. 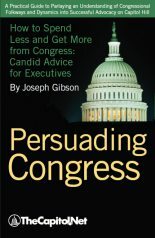 "I strongly encourage my colleagues to take this course. Gave me more information in one day than I could've gotten in a year on my own. This course gave me new tools to help me focus my agency's messages." Our faculty for this program all have more than 10 years of experience working with the national media.